Henri's is excited to once again offer the Jovani homecoming 2018 collection for our customers in-store and shipping around the world! This collection of gorgeous gowns has something for every girl going to prom this year. Slip into a sleek form fitting style, or find the perfect two piece. 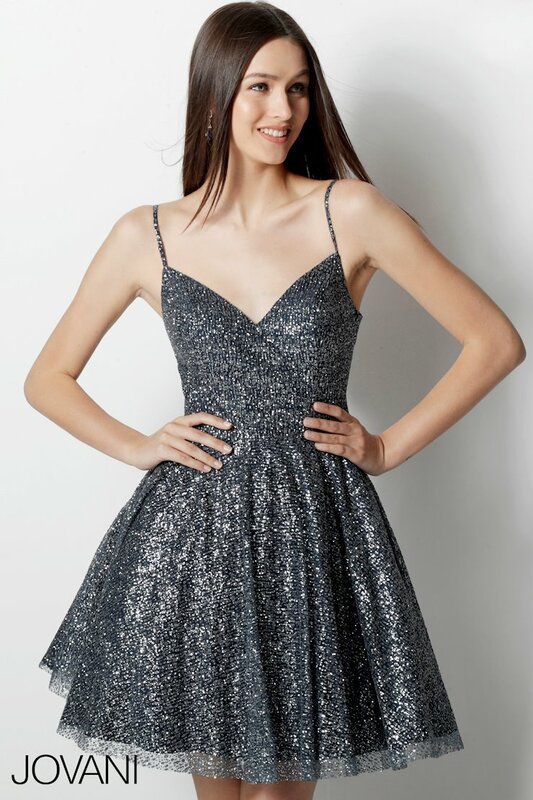 There's also great short chiffon gowns that sparkle like the night's sky with thousands of shimmering stones and sequins among our vast selection of Jovani homecoming dresses. The stylists at Henri's are eager to help you find exactly what you're looking for! Let us style you in a beautiful Jovani homecoming gown with matching accessories, or shop online at henris.com where orders over $100 ship for free anywhere in the continental United States! Jovani 2018 homecoming dresses are in stock now, place your order today!